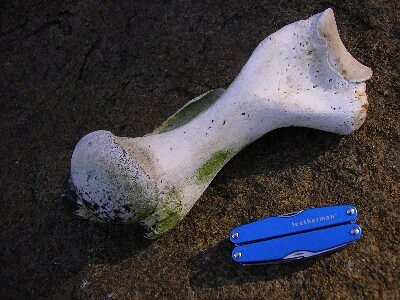 A bone on the rocky shore where the track first meets Sinking Bay. Probably the femur from a seal. 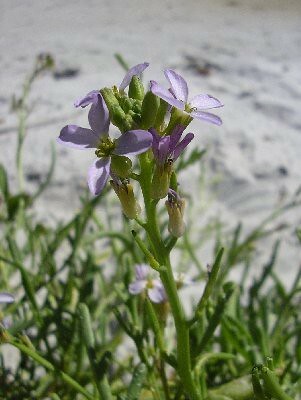 These American Sea Rockets (Cakile edentula) were plentiful, growing in the sand not far above high-tide level on the beautiful beach at the head of Stinking Bay. 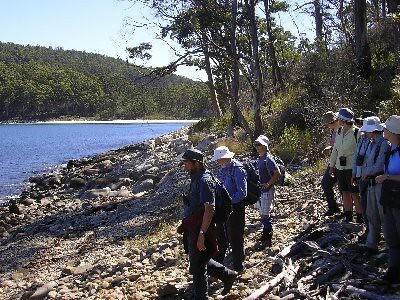 From the unfortunately named Stinking Bay the track follows the shore southwards. Here the party pauses with Stinking Bay beach in the background. Behind the party you can see signs of the bushfire which affected much of south-eastern Tasman Peninsular in Jan 2004. 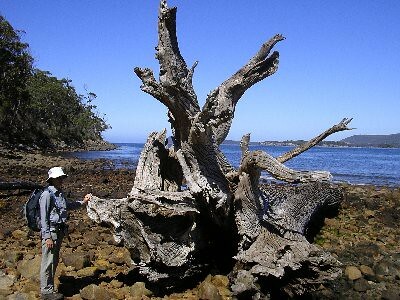 The artistic roots of a very weathered tree trunk washed ashore at the mouth of Simmonds Creek. The track turns inland on a south-facing slope at Denmans Cove with wet sclerophyll forest where we found this impressive fungus. At the head of Denams Cove, in a clump of glasswort on the shore , we spied this very distinctive wasp. 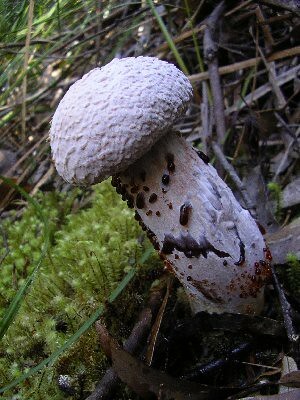 It has a long neck, legs with black & white segments, and a long thin abdomen which it mostly holds up above its wings. 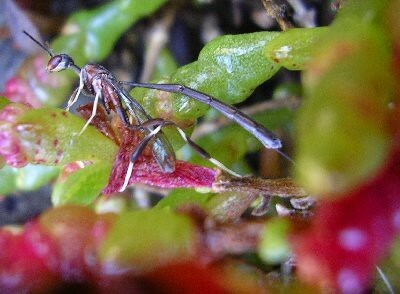 It has a rearward protuberance, possibly an ovipositor, that is even longer than than the abdomen. 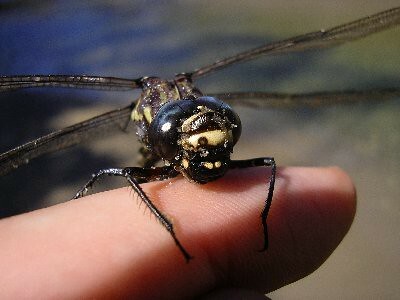 A dragonfly, rescued after crashing into shallow creek water flowing over the beach at Demans Cove. It still has sand on its face, though it has wiped its eyes clear. 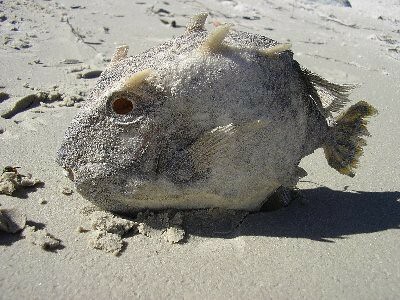 The hollow remains of a Shaws cowfish washed up on the beach at Stinking Bay. Aracana sp.